If you’re like me, you spent a good chunk of your childhood memorizing dial-a-combo’s and finishing moves, in order to dominate the competition at your local arcade. 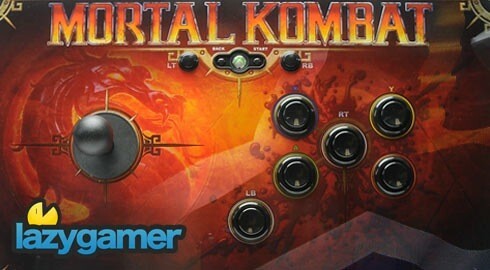 You will no doubt have got quite excited about the new Mortal Kombat tournament edition, which is basically an arcade stick, or â€œjoystickâ€ as the veteran gamers might call it, which should not be confused with the battery powered toys for purchase at Sexpo. 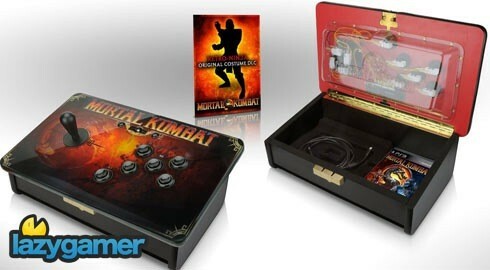 This decorative box is not only a functional fightstick, designed to bring the arcade into your living room and onto you lap, but it also doubles up as a chest like housing for the game and other exclusive goodies. Alas, the excitement seems to have been in vain, as yet again South Africa gets the short end of the stick. According to local distributors Nu-metro, there are simply too few of these happiness boxes to go around, and since we do not seem to be significant enough to take note of Â in terms of stock allocation, the probability of finding a tournament edition on a local shelf is looking rather dismal. While the opportunity to acquire a unit in a more personal capacity is always an option, it would appear that international supplies are rather low, and have mostly been reserved for the individuals who pre-ordered.